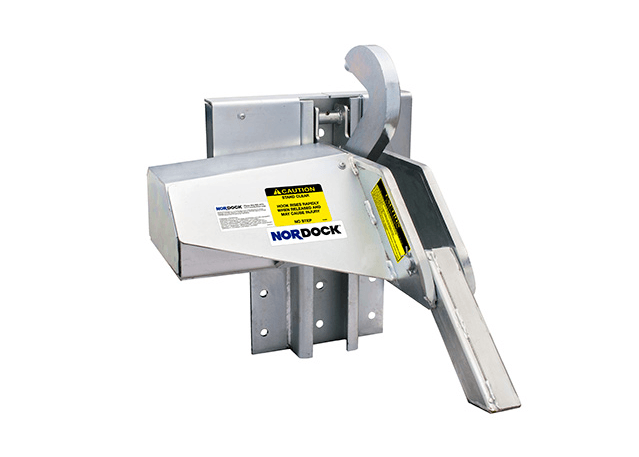 Chris Brady, VP of Sales and Marketing at Northern Dock Systems, demonstrates and explains the key features of the rotating hook trailer restraint–the AR-10K–which includes a 24-hour battery back-up and utilizes smart technology for ultimate safety. 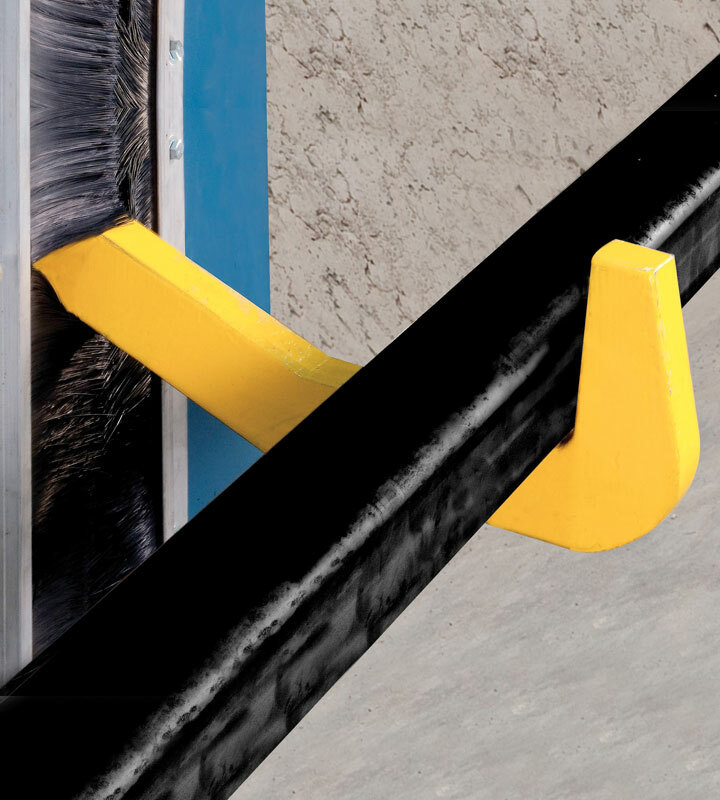 • The strongest hold: With mounting forces exceeding 100,000 pounds, our trailer restraints are capable of holding the heaviest trucks while the locking hook secures virtually all rear impact guards in excess of 32,000 pounds of restraining force to eliminate trailer pinch. 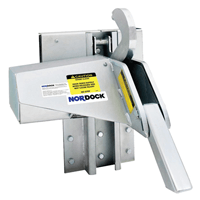 • One size fits all: Able to lock a variety of trucks with a vertical operating range from 9″ to 30″. 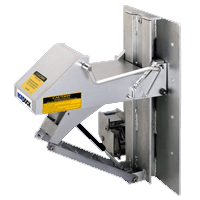 • Prevent serious workplace injury/accidents: Ensure the safety of your workers and prevent the truck from moving forward during loading. 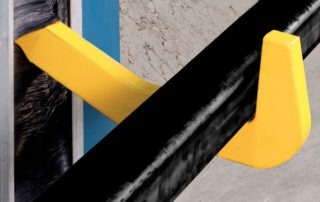 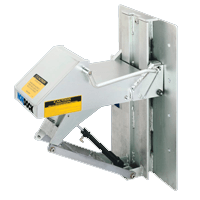 • Flexible: Hydra-Float barrier automatically adjusts to track movement during loading. 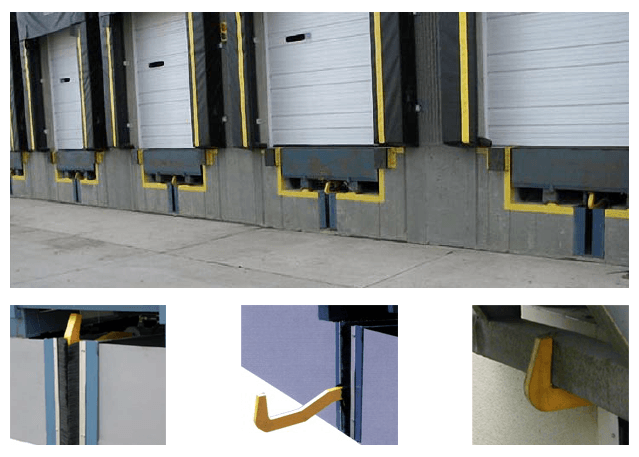 • Durable: All components are zinc plated for superior durability and weatherproofing. 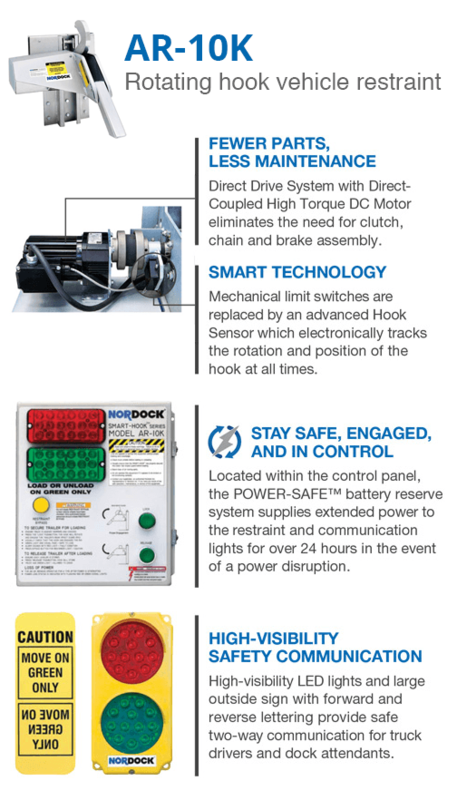 Click on the image to view a breakdown of the features of the unique rotating hook vehicle restraint, including a battery back-up system that grants full vehicle restraint functions with safety communication lights for up to 24 hours. 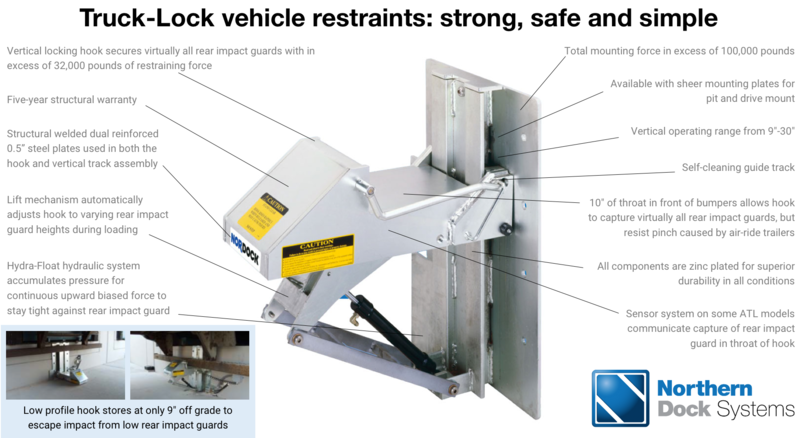 Click on the image to view a breakdown of the features on our Truck-Lock series of vehicle restraints. 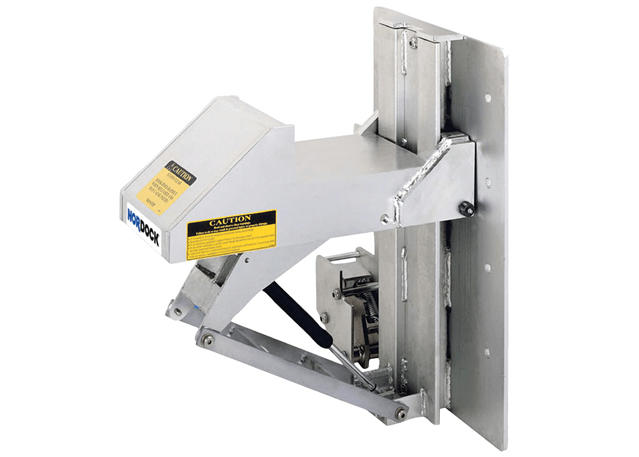 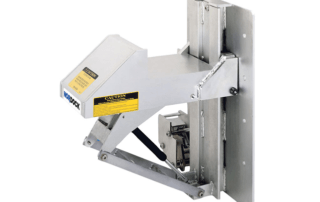 The AR-10K and AR-20K are premium automatic vehicle restraints designed to secure trucks at the loading dock by using a large rotating hook to engage a trailer's rear impact guard. 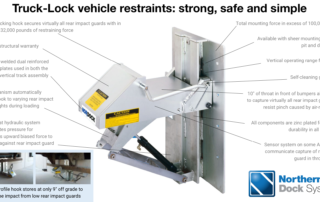 The Truck-Lock automatic series of trailer restraints improve safety with strength, convenience and reliability. 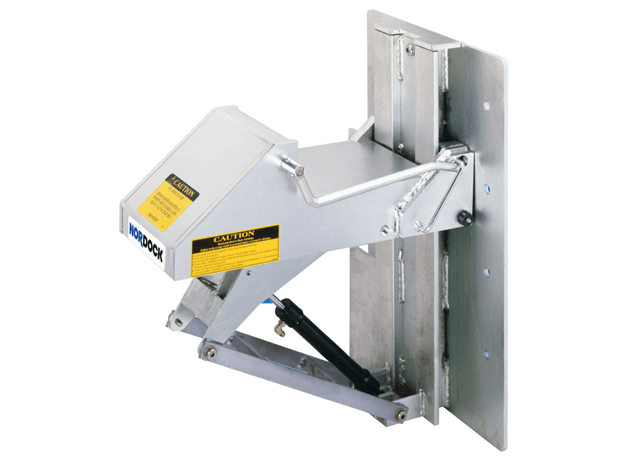 These Truck-Lock trailer restraints are affordable, manually-operated units designed to lock trailers with a large barrier. 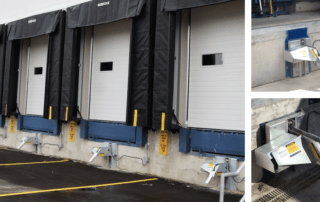 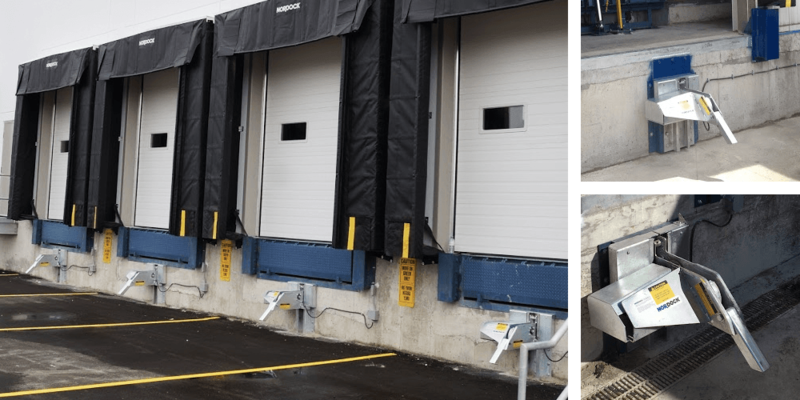 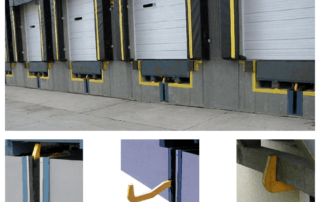 The Pit-Hook model is a premium automatic hydraulic-powered unit with a restraining hook that is stored at the back of the building face, clear of incoming trucks within a pit cavity below the dock leveler, away from weather and debris. 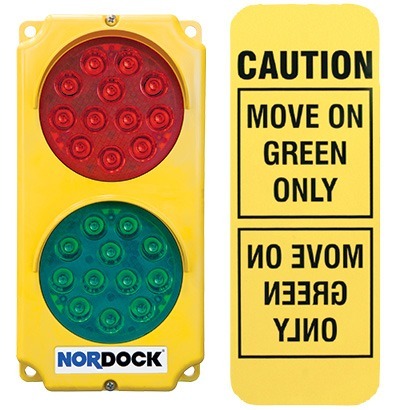 Flashing LED signal lights for inside/outside usage. 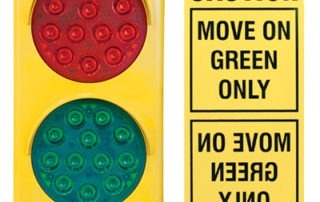 Wall-mounted sign with reverse writing for easy driver readability. 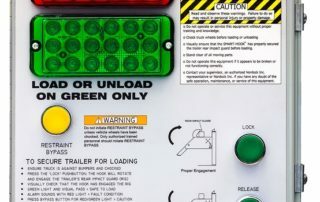 Control panel with simple push-button operation. 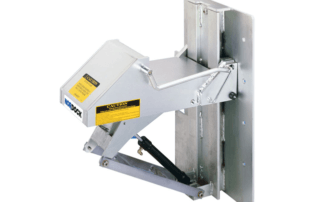 • Cantilever extension mounting bracket. 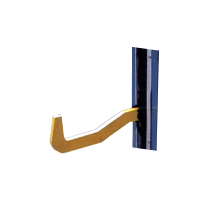 • Cast-in wall mounting plate. 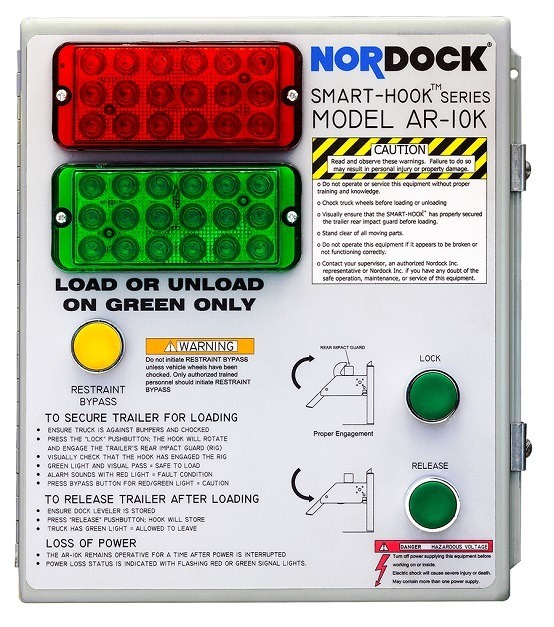 • AR-10K/Pit-Hook: Keyed override switch. 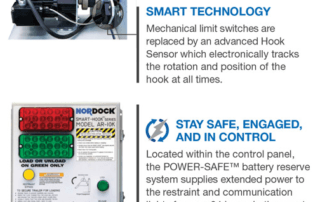 • Pit-Hook: Dock leveler stored interlock switch. 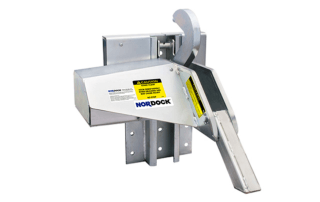 Watch how the Nordock Pit-Hook operates to lock a trailer bar.